On 21 February 2018, UN human rights experts issued a call for the immediate release of Tibetan human rights activist, Tashi Wangchuk, following a recent ruling by a Chinese court to uphold the charges of ‘incitement of separatism’ against him. Mr Wangchuk has been in detention since his arrest in January 2016, after appearing in a documentary advocating for Tibetans to be educated in their own language and for the enjoyment of their cultural rights. The case of Mr Wangchuk was included in a recent resolution passed by the European Parliament that called for the immediate and unconditional of human rights defenders in China. UNPO welcomes this statement from the UN Special Rapporteurs and supports the call for the immediate release of Mr Wangchuk. This statement highlights the dire situation facing ethnic and religious minorities in China, whose basic human rights are continuously violated by the Chinese government. The statement was released on International Mother Language Day [21 February], which is a global observance that aims to promote awareness of cultural and linguistic diversity and multilingualism. 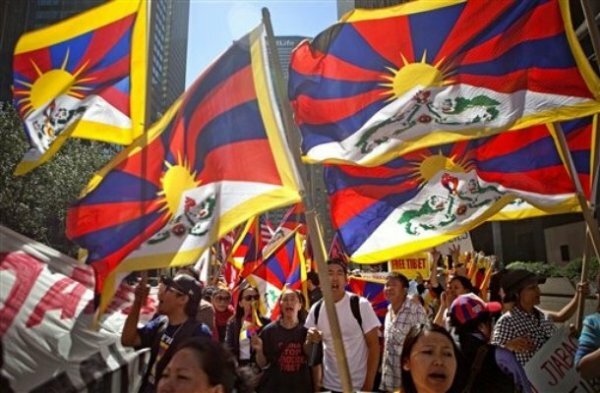 GENEVA [21 February 2018] – UN human rights experts* expressed serious concern over the ruling by a Chinese court to uphold charges of “incitement to separatism” brought against a human rights activist who appeared in a documentary calling for linguistic and cultural rights in Tibet. The experts said all of the charges levelled against Tashi Wangchuk over comments in an article and video documentary in the New York Times should be dropped. In the November 2015 documentary, Mr. Wangchuk appealed for the Tibetan minority to receive education in their mother tongue, and highlighted the difficulties faced by the Tibetan minority in exercising their cultural rights. Mr. Wangchuk was arrested on 27 January 2016, and has since been held in detention. On 4 January 2018, the Yushu Intermediate Court upheld the charges of “incitement to separatism” against Mr. Wangchuk, under article 103 section 2 of the Criminal Law of the People’s Republic of China, which may lead to a prison sentence of more than 5 years. “We condemn the continued detention of Mr. Wangchuk and the criminalization of his freedom of expression as well as his right to stand and speak up for what he perceives as human rights violations in his region and country,” the experts said. “Free exchange of views about State policies, including criticism against policies and actions that appear to have a negative impact on the lives of people need to be protected and further encouraged,” they said, adding that people should not be prosecuted for human rights advocacy and the promotion of culture and language in the name of ‘national security’ and ‘public order’. In November 2017, the Working Group on Arbitrary Detention rendered Opinion 69/2017 concerning Mr. Wangchuk, according to which his deprivation of liberty, being in contravention of articles 3, 5, 6, 7, 8, 9, 10, 11 (1) and 19 of the Universal Declaration of Human Rights, is arbitrary and falls within categories I, II and III. The experts further reminded the Chinese authorities of the right of persons belonging to minorities to use and promote their own culture and languages without restrictions, and without fear of reprisals or criminalization. The video in which Mr. Wangchuk appeared, “A Tibetan’s Journey for Justice”, was used by the Court as principal evidence for Mr. Wangchuk’s intention to “attack the Chinese Government”, “destroy the ethnic culture”, “conspire to undermine ethnic unity, the unification of the country, and the political and social stability of the Tibetan areas” and to “demonize China’s international image on the world stage”. “We urge the Chinese authorities to release Mr. Wangchuk immediately and accord him an enforceable right to compensation and other reparations, in accordance with international law,” the experts said. The Yushu Intermediate Court’s decision on the sanction is pending since the January 2018 hearing. The UN experts have notified the Government of China about their concerns. *The experts: Ms. E. Tendayi Achiume, Special Rapporteur on contemporary forms of racism, racial discrimination, xenophobia and related intolerance; Ms. Karima Bennoune, Special Rapporteur in the field of cultural rights; Mr. Fernand de Varennes, Special Rapporteur on minority issues, Mr. José Antonio Guevara Bermúdez, Chair-Rapporteur of the Working Group on Arbitrary Detention, Mr. Michel Forst, Special Rapporteur on the situation of human rights defenders; Mr. David Kaye, Special Rapporteur on the promotion and protection of the right to freedom of opinion and expression.